Geology Limestone Scar or sheer cliff formed by the outcrop of The Main Limestone with scree,kame terrace and talus slope below. Record Name Orgate Scar West. Relict woodland with many fine yews. Part One of Four. See also later SWAAG Records. 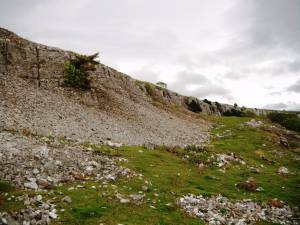 Record Description Orgate Scar forms the western section of the limestone escarpment which overlooks Orgate Farm and which commences east of Clints Lead Mine extending for a total distance of 1km in an easterly direction above Limekiln Wood into Clints Wood. 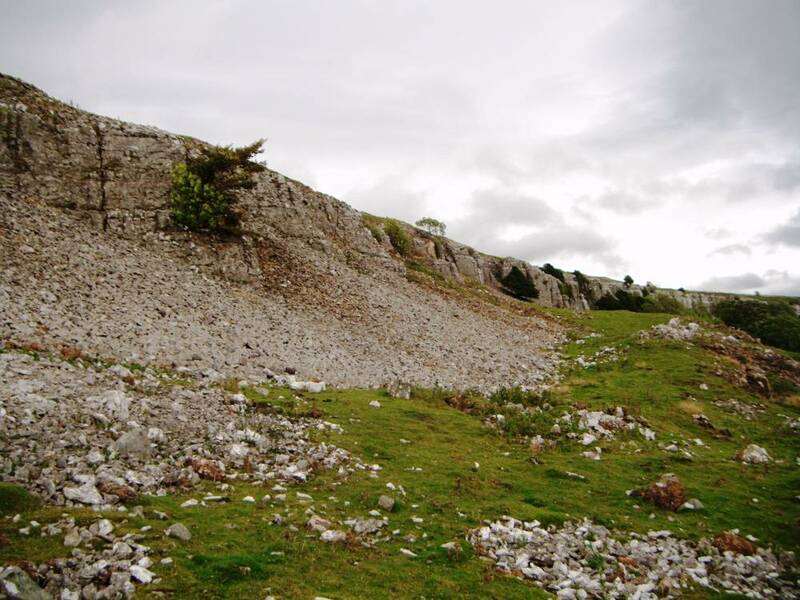 Since this limestone escarpment is of such a considerable length, the Trees and Vegetation on and Below Orgate Scar will be presented in Four Parts, namely: Orgate Scar West,Part One: An Introduction, (This Record) Orgate Scar West,Part Two: Relict Ash Woodland Below the Scar (See SWAAG Record No ) Orgate Scar West, Part Three: Ash and Yew dominant Woodland on the Cliff Edge. 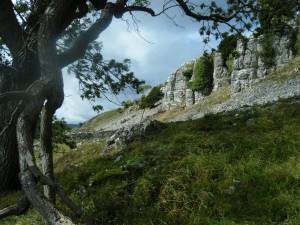 (See SWAAG Record To Follow ) Orgate Scar West,Part Four: Vegetation on and below the Scar. The above area is Access Land Note: Limekiln Wood Scar (Private Woodland. To be recorded separately). 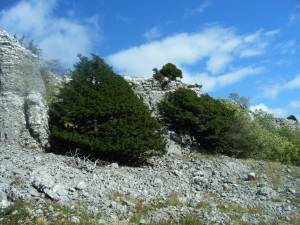 Orgate Scar West comprises the prominent south, south- westerly facing limestone cliff wholly within CROW Access Land which extends westward towards Clints Lead Mine for a distance of 500m from the wall at NZ09540210. This record will provide an Introduction to the woodland and vegetation on the rough pasture on the consolidated talus slope below the Scar, .on the scree below the cliff and on the limestone cliff face. 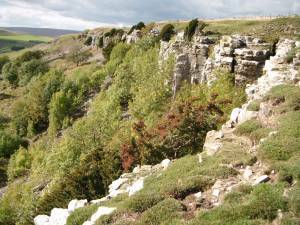 General Notes: 1.Whereas at 330m AOD,Orgate Scar is of modest elevation, this south westerly facing cliff is exceptionally exposed to the prevailing westerly winds. 2. 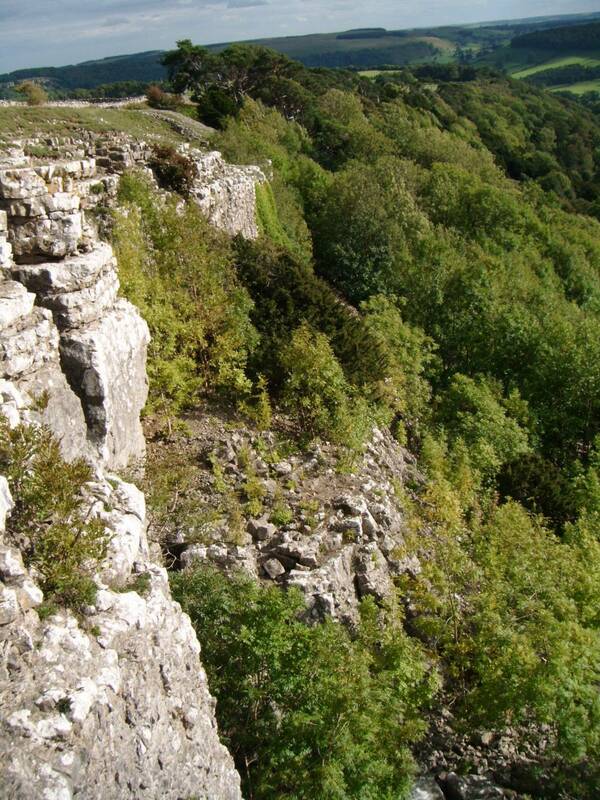 The contrast between the open western cliff above Orgate which is virtually barren of trees and the exceptionally dense woodland of Clints Scar within Clints Wood should be noted. There is a short length of cliff with tree cover intermediate between these two extremes at Limekiln Wood. 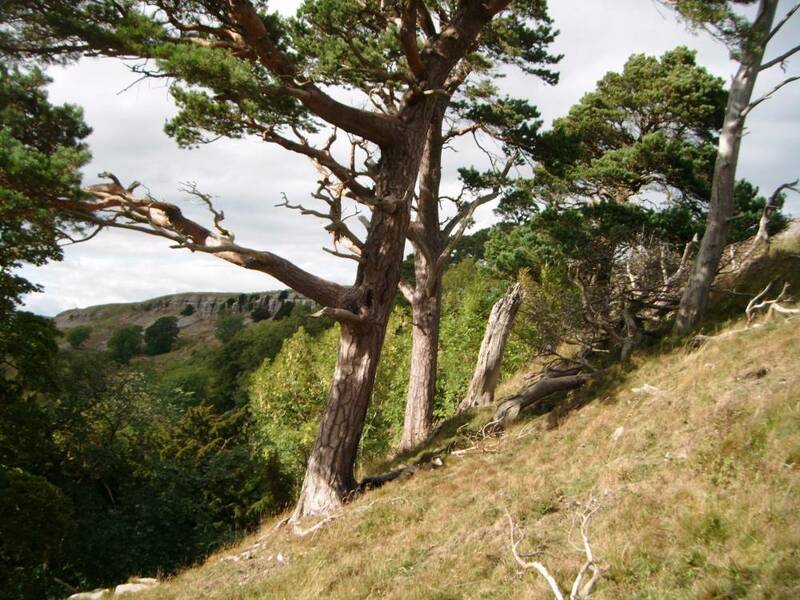 Whereas the western end of Orgate Scar has very few trees and the only yew grows on the scree below the cliff, yew is a major component of the relict woodland vegetation on Orgate Scar itself and the cliff below between NZ09440212 and NZ09540210 and is a major component at all levels further east within Clints Wood. 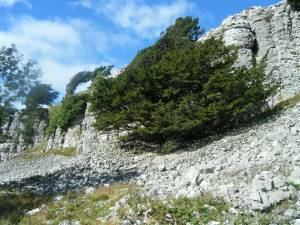 Additional Notes Yews grow with ash, occasional holly, hawthorn, blackthorn and ivy on both the top edge and face of the cliff. Very large yews with occasional ash grow on the scree below the cliff. A large number of wind sculpted stunted and possibly ancient yews grow on the top edge of the cliff. 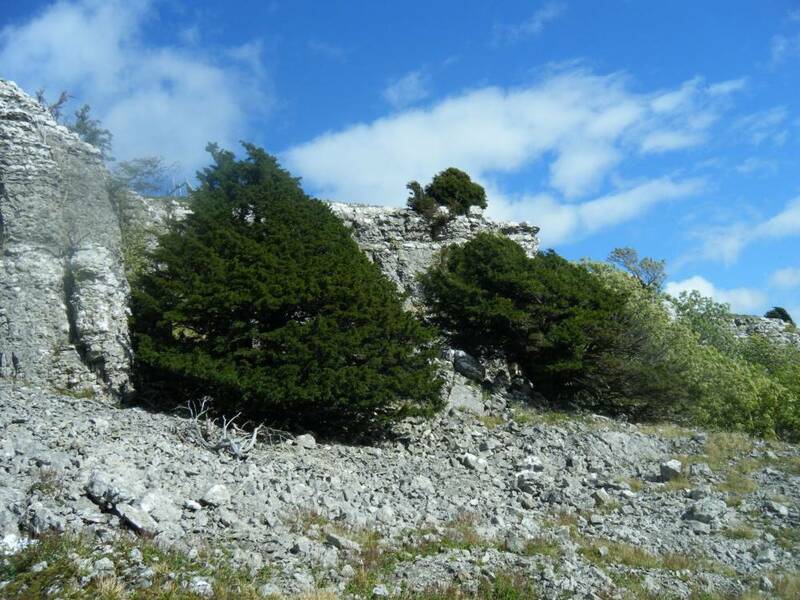 Skeletal remains of very large dead yews are to be seen on the face of the cliff where one or two very large yews survive. 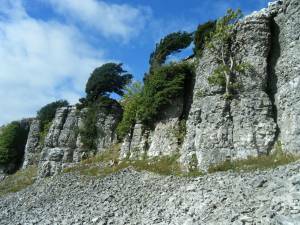 Four extremely large and healthy yews grow on the scree slopes below the cliff. Image 1 Description Orgate Scar West. View westward from centre of scar. Image 4 Description Orgate Scar. The western cliff seen from the kame terrace. Image 7 Description Orgate Scar. Wind sculpted and stunted Yews at top of Scar. Image 8 Description Orgate Scar West. 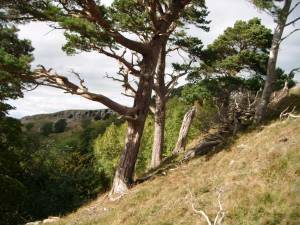 View westward from Scots Pines at centre of scar.